The other day I received a call to service a Steinway A 1 piano in a town nearby. The six foot long piano was placed in a living room with a shag rug, some furniture and another piano; a Steinway upright. 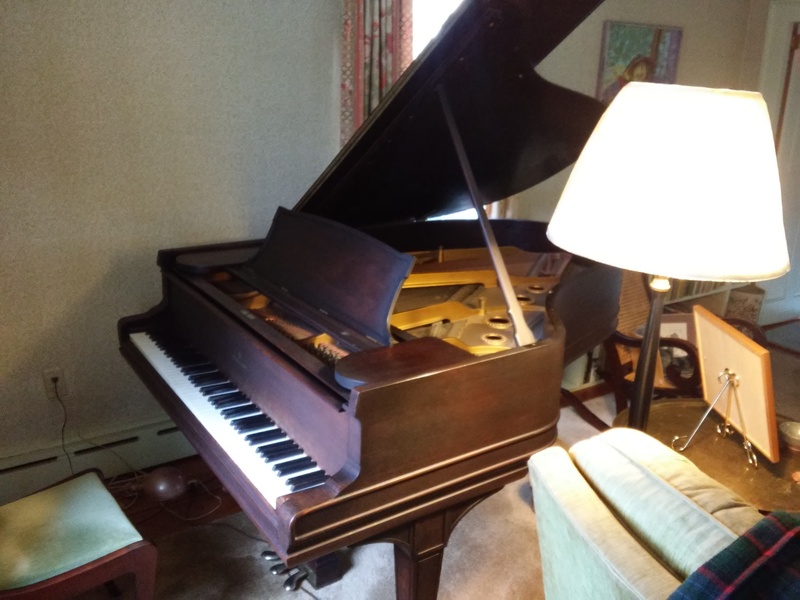 As I looked over the piano, the woman explained that she wasn’t sure she wanted to keep it but would like to find a good home for it. She told me that her mother was the first owner and she was only the second owner. Amazingly, the woman I talked with was in her mid-nineties! Back to the piano… I looked over a number of parts of the piano during my inspection such as the strings, soundboard, ribs, keys, hammers, action, finish, etc. Everything seemed like it was in fairly good shape considering its age. The only problem was that the parts being so old needed to be replaced even though they still “worked”. I also found that there were only 85 notes on the piano instead of 88 notes. The manufacturer, Steinway and Sons Co., produced these “A”s without the top three notes. Unfortunately for the lovely old lady, that meant that she didn’t get the money she thought she would get for such a piece of history. We did eventually find a purchaser who would rebuild the piano and find a home for the piano… in Europe. Many Europeans like these 85 note Steinway A1 pianos. I moved the piano from her house to an intermediary who would ship the piano to Europe, with the help of great piano moving equipment and my helpful brother. Thankfully, she even received a fair price for the piano. I am happy that I am able to help people like this to find a new home for their pianos, though not everyone gets to have such a unique story.